If you’re new to bread making, I must tell you it’s well worth the effort of all that kneading. 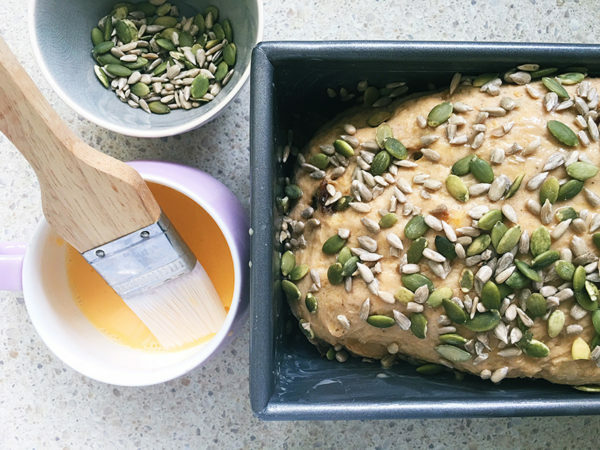 Knead by hand or by machine (a stand mixer with dough hooks, yes!) and you’ll know every slice is handled with love. And muscle. But mostly love. 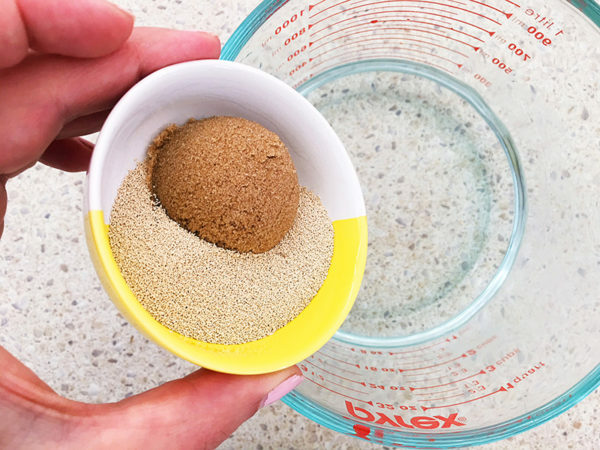 In a small jug or cup, mix together the water, yeast and tablespoon of brown sugar. Set aside for five minutes until the yeast activates and becomes foamy on the surface. 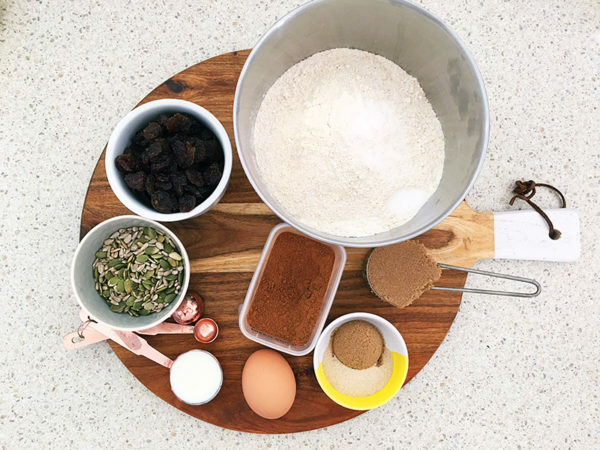 Combine both flours, bread improver, mixed spice, salt and remaining sugar in a large bowl and make a well in the centre. 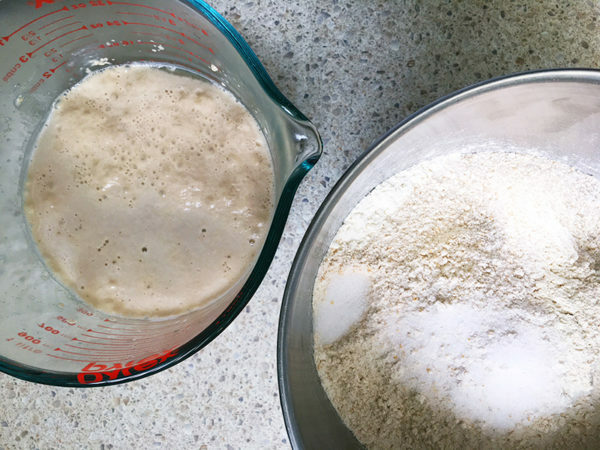 Tip the yeast mixture into the well and stir to combine. 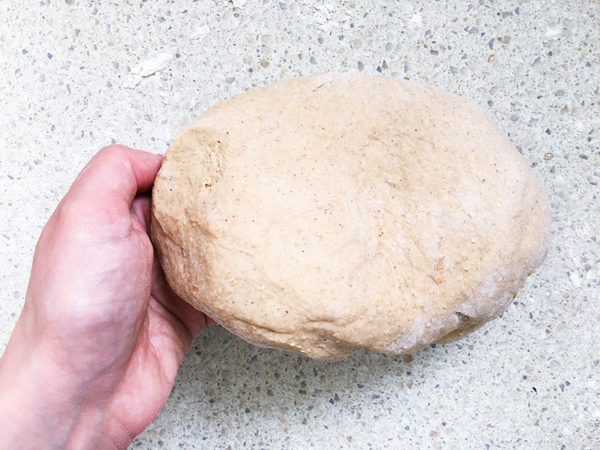 Tip the dough out onto a lightly floured surface and knead for around 10 minutes until the dough is smooth and stretchy. Alternatively, knead using a stand mixer and dough hooks. 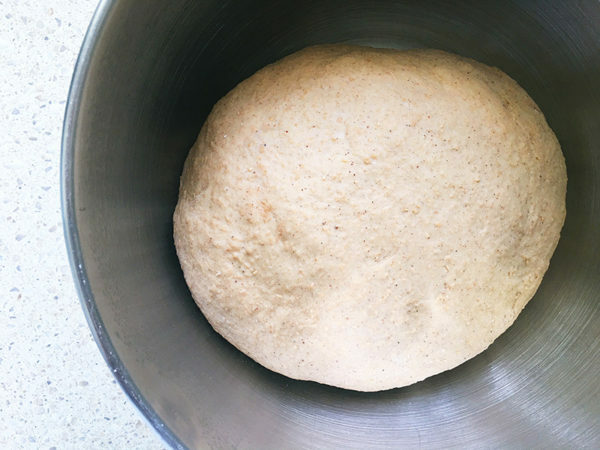 Place the dough in a large bowl, cover lightly with a clean tea towel and set aside in a warm, draught-free spot for an hour, or until the dough doubles in size. Punch down the dough with your fist. 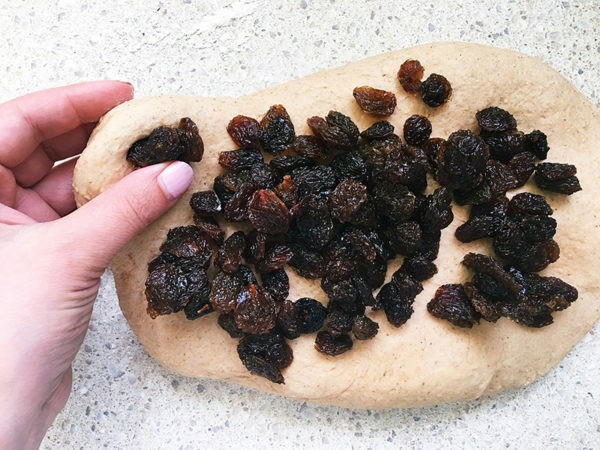 Turn the dough out onto a lightly floured surface and knead in the raisins until they’re well mixed into the dough. Preheat the oven to 220°C. 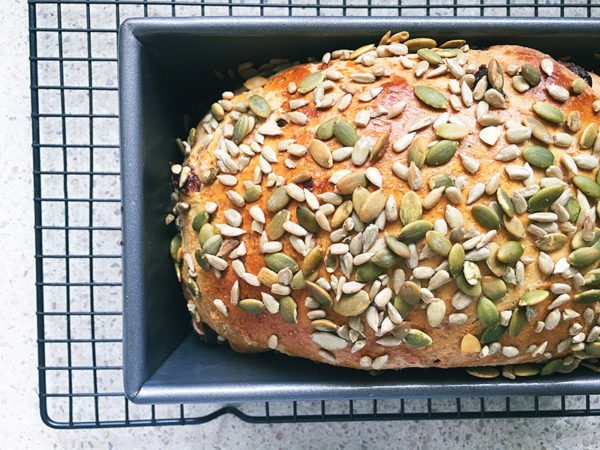 Grease a loaf tin with butter and tip half the seeds in. Shake the seeds around the tin so they stick to the base and sides. 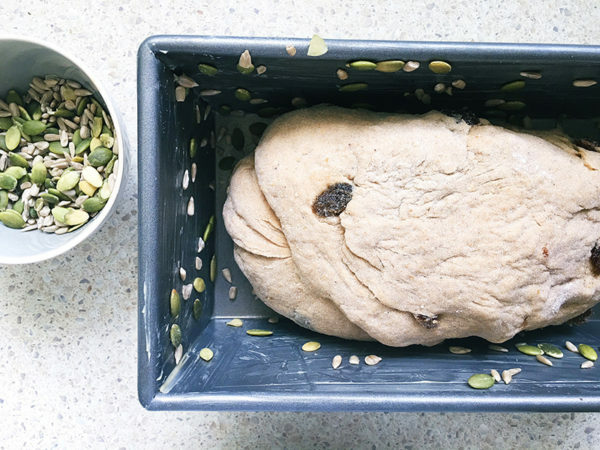 Shape the dough into a log and place in the tin. Loosely cover with a tea towel and return to the warm, draught-free spot to double in size. Mix together the egg yolk and milk in a small bowl and brush the top of the loaf. Sprinkle with the remaining seeds. Bake for 10 minutes. Reduce the temperature to 180°C and bake for a further 20 minutes. Remove from the oven and turn onto a wire rack to cool completely.